The PC101 integrates an ambient light (ALS) sensor, a proximity sensor (PS) and 6-D gesture sensors with built-in IR LED. 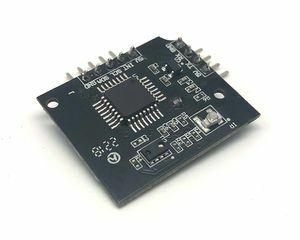 It is used in notebook PCs, smartphones, MIDs (mobile internet devices),PNDs (portable navigation devices), e-books, tablet PCs, flat-panel televisions, etc. for extending battery life and for better user experience. Ambient light sensor optimizes the screen brightness to extend battery and to increase battery life. 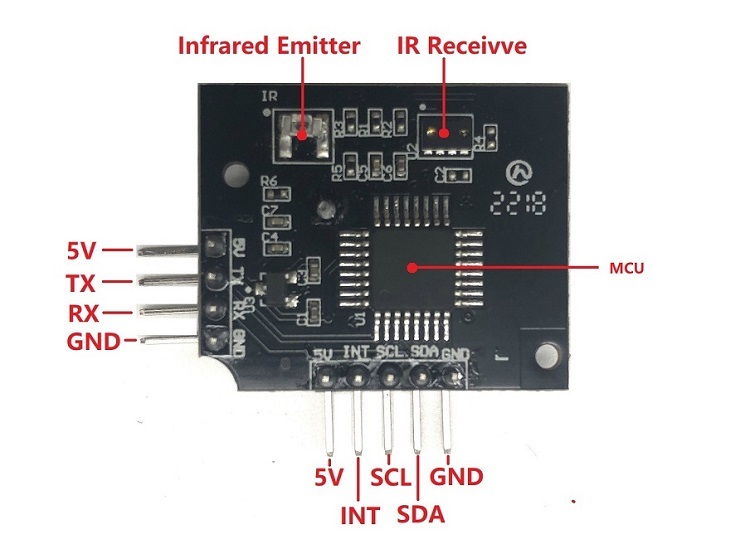 Proximity sensor (PS) measures the IR reflection intensity which correlates to the distance of the object. 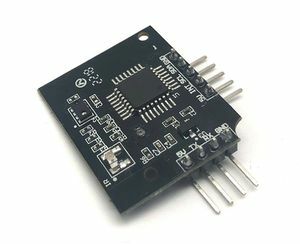 Proximity sensor enables the device controller to turn off the LCD back-light and the touch-screen sensor when the device is held close to your ear, placed inside the pocket, purse, or bags. This function saves the battery power and avoids unintended touch-screen trigger. 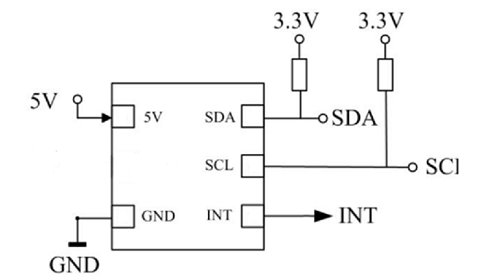 Proximity sensor can also work as a device wake-up sensor by sensing the user waving the hand in front of the device. The 6-D gesture sensor detects the waving of palm in front of the screen in 6 directions left, right, up, down and z-axis. The hand gesture without the need to touch the screen adds new way of human device interaction. For example, the gesture can be used to accept a phone call in the hand-free mode while the user is driving in a car. In another example, the user wave to the screen to advance or retract in the picture viewing mode without worrying the food stains from the fingers to be left on the screen. Total register addresses are maintained inside the I2C block, each having a 8-bit register address. 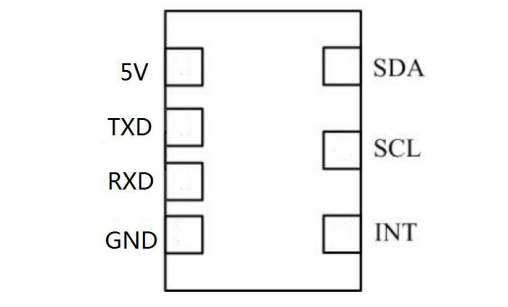 Each address accommodates an 8-bit data register that can be either written or read via I2C. 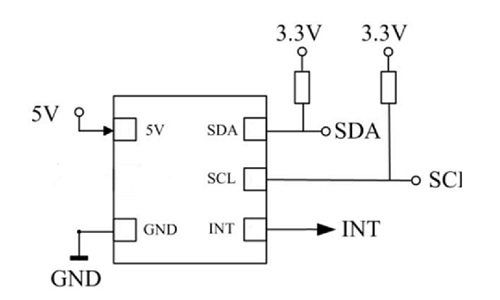 The command registers program the sensor for various modes, setting and Interrupt threshold. The read-only registers contains output codes. This address holds ChipID, which is 0xAA by default and can be read to verify that I2C reading is normal. This address holds a bitmap of the gesture detection capability, 0 Disable, 1 enable. The default is all supported, so the register defaults is 0xF0. This address holds Gesture Version defaults is 0xB1. The address is stored with the result of gesture detection. This address holds the distance of the gesture from 0 to 255, the larger is near, the smaller is far. Read Register 0x00, and result is 0xAA. 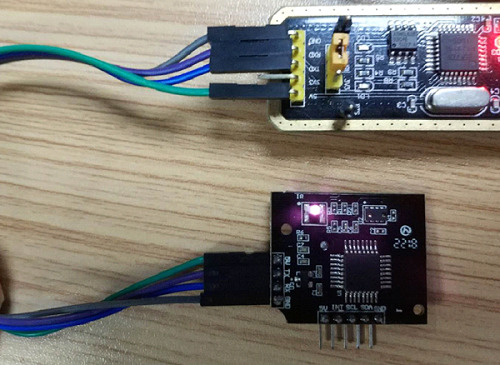 So, the I2C communicate success. Every 100ms read once gesture data. Read Register 0x03, and result is Gesture data. Read once gesture data when trigger edge is falling edg. This page was last edited on 28 June 2018, at 03:09.